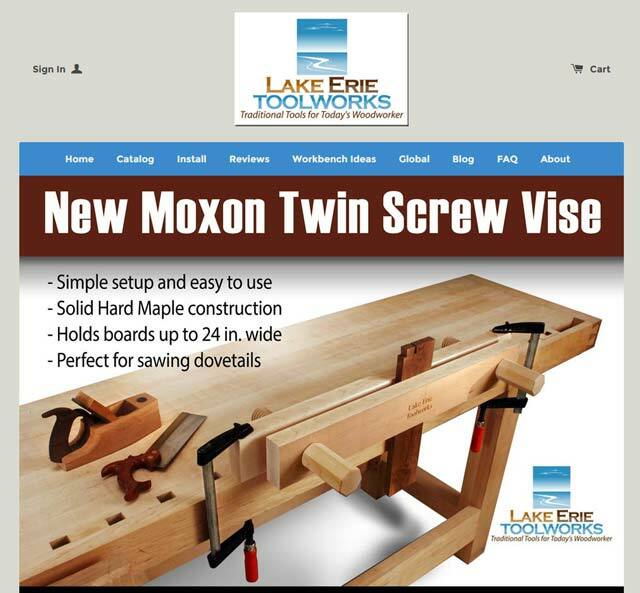 Just posted a quick Lake Erie Toolworks Wooden Vise Highlights video on our website home page. If you have a minute to spare take a look / see. I suspect you might even like the ‘bluesy’ music the video is cut with. Enjoy! For those of you who may have been contemplating a Moxon Vise in your woodworking tool future, you may want to take a look at this before you make your final choice. Courtesy of Brian McCauley and Brandon Marshall from “Workshop Review” they’ve put our Lake Erie Toolworks Moxon and Moxon Lite Vises through the proverbial squeeze. We encourage you to take a look to see how we made out. Enjoy! This just in, Fine Woodworking’s positive Tool Review in their June 2017 magazine issue on our Lake Erie Toolworks Moxon Vise. Thank you to Matt Kenney – Fine Woodworking’s Special Projects Editor & Co-Host of their Podcast – Shop Talk Live. Announcing that Classic Hand Tools has joined the growing Lake Erie Toolworks family as our latest International distributor covering the United Kingdom and much of Europe. The vise stock inventory is ready to go in Witnesham, Suffolk and our UK and other European customers are now ready to roll. Let the bench building and dovetail cutting commence. Welcome aboard Classic Hand Tools! Offerman Woodshop Rocks the Moxon! Great news! Offerman Woodshop has now joined the growing ranks of proud Lake Erie Toolworks Moxon vise users and here’s the Instagram post that shows the Moxon ready to roll. With Nick Offerman (accomplished Woodworker, Author & Actor) and all of the great woodworkers that call the Offerman Woodshop home, we’re very proud that our Moxon vise now lives in Los Angeles. What more can we say, so all you chair builders out there, take a look! Started chair building 20 years ago. Taught by Mike Dunbar. Have a fully equipped chair workshop on the shore of Brandy pond , Maine. Couldn’t be happier with the vise. Allows me to shape at any angle the wide chair seats with draw knife and spoke shave. Easy to change grain angles. Can knife and shave with some force to shape all sides of the Windsor sack back chair seat. I pulled and tugged the chair seat sides with the drawknife – no problem. Your Moxon vise is tougher than a Maine boiled owl!!! Nice work. Heads up that our new Lake Erie Toolworks Website is now up and running at www.LakeErieToolworks.com. We hope you enjoy as we continue to work to improve our online customer user experience.